Football Freestylers are ideal for birthday parties, school, youth groups, charity events, fetes and just about anything else that you can think of! Our stealth Pickpocket Performers are able to present the ancient and highly amusing art of theatrical pick pocketing – removing wallets, watches, phones and even ties while they are being worn. Don’t worry everything is handed back to the rightful owners after each pickpocket! Serenade your guests by bringing music to your guests tables! Our Walkabout Musical Acts will spread the party atmosphere throughout your event! 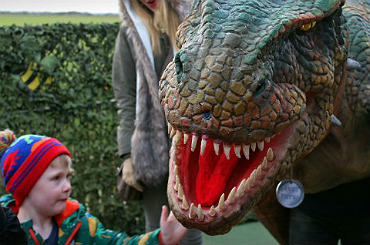 We can offer you fun, creative, left-field Meet & Greet Entertainment suitable for all types of events! 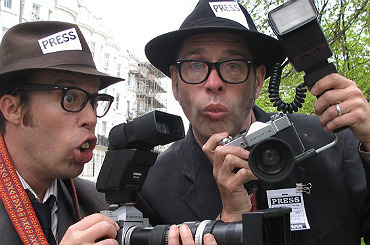 Fantastic for every occasion and gives your guests something to remember – hire paparazzi photographer characters for your event! They will interact with your guests and give your guests the superstar treatment. Are you looking for a really good walkabout character act to hire? 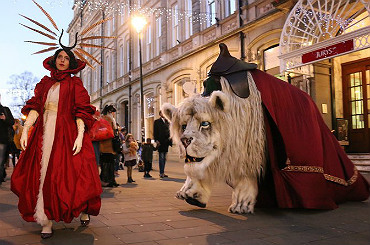 If so, we have lots of show stopping walkabout character performers on our books. 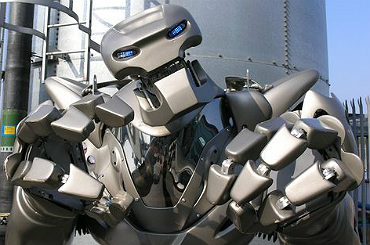 Our roster of robot entertainment includes Human LED Robots, Character robots & human controlled robots. 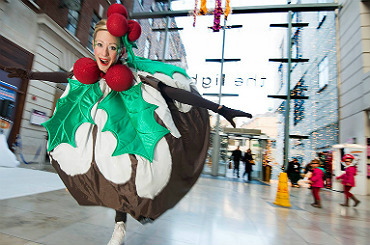 We can offer you Classic French Mime Artist, Bespoke Mime Artist and even Christmas Elves Mime Artists! 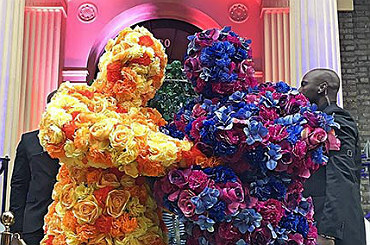 Our Walkabout exquisitely attired Christmas characters can greet your guests, or enchant from behind a mask, roving amongst them or be placed statuesque as the crowning jewel of your winter installation. The best Walkabout Entertainment for hire: check out our fun Walkabout characters, stilt walkers, comedy & musical mix & mingle acts… hire Walkabout Entertainment & surprise your guests! If you want to book walkabout entertainment for your corporate event we have all you need to have your guests roaring with laughter! We have hilarious comedy acts that would be perfect for a comedy themed party or comedy corporate event. Hire Drag queen acts and drag queen cabaret shows through us. 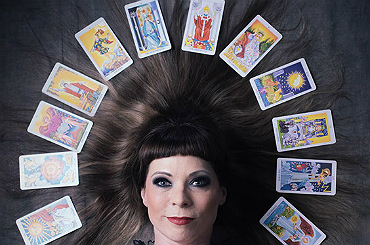 If you want to hire fortune teller corporate entertainment, call us and we will be very happy to help! Our fantastic still entertainers will bring the glamour to your evening entertainment or your corporate party. We have lookalike evening entertainment and tribute entertainment. Our magic entertainers will surprise you with their amazing tricks. Our magician entertainers are from all over the world. 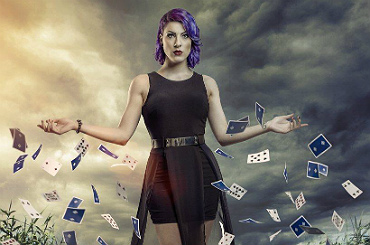 We have so many fascinating acts in our magicians and mind readers section. We offer great mime performers for all types of mime events. 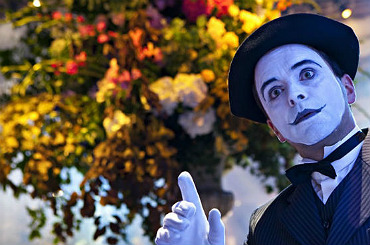 Our mime entertainers bring you the most traditional and current mime artists in the events industry. We have loads of paparazzi photographers. We have great pickpocket entertainers that always work hard to make any pickpocket performers corporate party is huge success. If you are looking for a Walkabout Projection to Hire for your corporate entertainment, we are a booking agency and have lots of Walkabout Projectionists to hire. Are you planning an amazing robot event? If so we can help! We are helpful and will always be excited about your ideas! We have many robot acts. We can bring robots to any robot corporate event. We have poetry corporate entertainers that will be great for all the family. Contraband’s poetry entertainment is a must for any poetry corporate event. We organise brilliant sports entertainer events. Our sports entertainer section has great tennis acts. 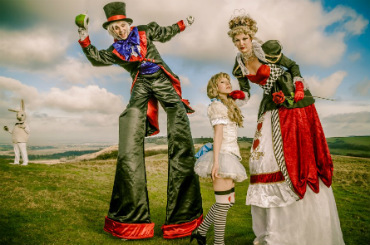 For an extra special stiltwalker party Contraband can provide you the best stiltwalker entertainment in the business! 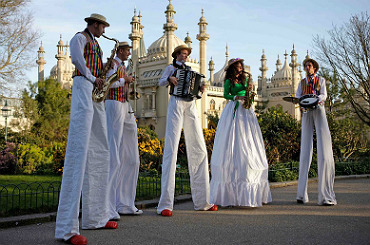 Take a look at our stiltwalkers. All our street theatre entertainers are professional and very talented. 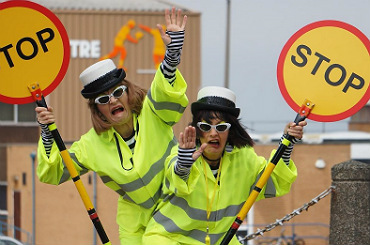 We aim to give your street theatre corporate party the best street theatre entertainment in the business. 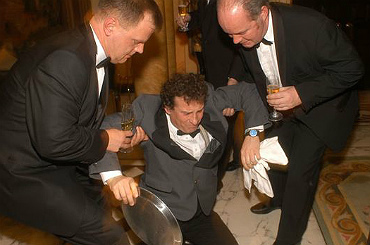 Hire comedy waiter characters for your corporate party entertainment. If you want to hire waiter characters corporate entertainment, call us and we will be very happy to help! 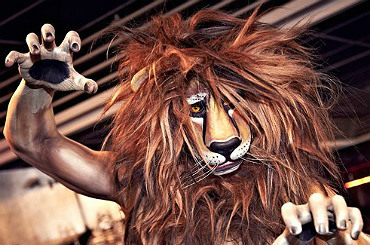 Contraband’s walkabout animals themed entertainment is a must for any walkabout animals corporate event. Contraband is a walkabout animals corporate entertainment agency that organise the most successful walkabout animals corporate entertainment events. Are you looking for a really good walkabout entertainment? If so, we have lots of show stopping walkabout character performers on our books. 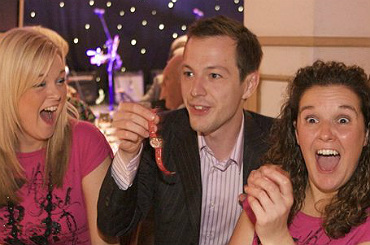 We offer great walkabout comedy for all types of walkabout comedy events. 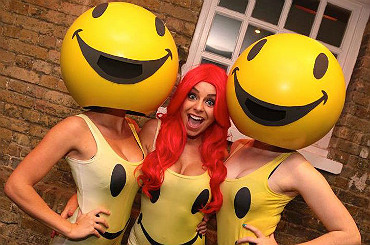 Our walkabout comedy wear the most bright and colourful costumes. We offer great walkabout musical for all types of walkabout musical events. Our walkabout musical wear the most bright and colourful costumes. Get a hug from The Hedge Men’s Human Tree Statues! Tell a friend about our spectacular Walkabout Entertainment for hire!